Please read through the following terms and conditions (“Terms”) carefully as they govern the use and access to the website www.estheticworldbeauty.com (“Website”) and the purchase of any product/s. You agree to be bound by these terms by using, accessing or browsing any part of this Website, including through communicating with EstheticWorldBeauty and participating in any EstheticWorldBeauty forums, promotions, subscriptions, purchases, specials and/or programs (“Services”). The following terms (“Terms”) apply to any and all users of the EstheticWorldBeauty website (the “Website”). 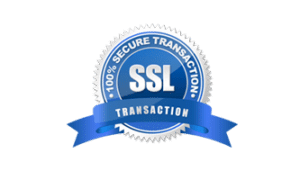 All Transactions made in connection with the Website, and your use of any content or information on the Website or Product purchased through the Website is subject to these Terms and these apply regardless of how you access the Website. You should make sure you read and agree to these Terms before you use the Website as your offer to purchase any Product will indicate to us your acceptance of these Terms . Where any other terms and conditions apply to a Product or service related to the Website, these Terms will override any subsequent terms and conditions, unless stated otherwise. Your use of the Website indicates your understanding that the Website and the Products include and/or rely on a security framework using technology that protects digital information and imposes usage rules established by Us, our Affiliates and our (or their) licensors, and you agree to abide by these usage rules. Unless otherwise expressly stated, all capitalized terms in these Terms have the definitions given to them in clause 2 below. “Affiliate” means any third party we may enter into agreements with for the supply of goods or services for the purpose of running our business. This includes all licensors, postal and courier companies and any other third party these companies may enter into contracts or agreements with in order to fulfil their obligations under any contract or agreement made with Us. “Product” means anything available for purchase or access through the Website including goods, music, images, videos, artwork, tickets, text and other copyrightable materials. “Website” means our website, www.EstheticWorldBeauty.com. “Terms” refer to these terms and conditions that govern the EstheticWorldBeauty website and its use. “Transaction” means the purchase of any Product via the Website whereby funds are successfully debited from your account and are received or accepted by Us (subject to any request we make for further information to authorize the payment). “Us” means the ESTHETICWORLDBEAUTY trading as Esthetic World Beauty, including all relevant Affiliates, subsidiaries, directors and employees (also referred to as “we” or “our” where appropriate). We will not be liable for any other loss or anticipated loss or damage incurred by you however caused which arises from or in connection with your use of the Website, the contents of the Website (this includes information, pricing and all Products), or your reliance on any information or service we provide to you. We do not guarantee that your access and use of the Website will be free from any errors or viruses that may harm your software or affect the use of your computer. By accepting these Terms, you indemnify Us against all legal action, loss, damage or costs incurred by you arising from your breach (or the breach of any other person accessing the Website and its contents through you) of these Terms, your use of the Website or your reliance on the contents of the Website (this includes all information, prices and Products). EstheticWorldBeauty reserves the right to refuse any order which it reasonably considers is for commercial use or sale or where a product is not in stock. While we take reasonable precautions to ensure that the price and details of products listed are correct, if they are incorrect or we are out of stock and we can’t agree on how to resolve the issue, we reserve the right to cancel the order and refund any amount charged to your credit card. Any Offer to Purchase received by EstheticWorldBeauty through this Website are subject to acceptance or rejection by EstheticWorldBeauty in its discretion. Once an order has been placed by you, accepted by us and payment received, the order cannot be cancelled by you. Prices are inclusive of goods and services tax. If you require delivery of goods outside of US, you will become the importer and liable to pay for all taxes, duties and charges imposed or levied. You should note that some countries have import restrictions on certain products or materials. If you are outside US, you will be responsible for checking whether such restrictions apply before placing an order. EstheticWorldBeauty terms and conditions relating to shipping is set on EstheticWorldBeauty ‘ website at www.EstheticWorldBeauty.com/privacy-terms/. The identification of a typographical error whereby the product or pricing information is incorrect in some way (see clause 10). We employ payment gateway provider Braintree and utilize anti-fraud software Kount to implement anti-fraud procedures to avoid and minimize fraudulent activity on the Website. Prior to the acceptance or non-acceptance of an Offer to Purchase made by you, we reserve the right to request additional information from you. A request for the provision of additional information may include the request for a photocopy of any photographic identification you may hold i.e. A Driver’s Licence or passport, as well as a photocopy of the front and back of the card that is being used to make the purchase. We have the right to refuse an Offer to Purchase if the request for additional information is refused by you. We reserve the right to update or correct information on the Website at any time without notice. In the event that a Product is listed at an incorrect price or with incorrect information, we have the right to refuse shipment of or cancel any Offer to Purchase for the Product. Where we become aware of any error or inaccuracy after acceptance of your Offer to Purchase, we will inform you as soon as possible and give you the option of re-placing your order at the correct price or cancelling your order for a refund. Where we cannot get in contact with you by close of the business day on which we become aware of the error, your order will be cancelled and refunded. 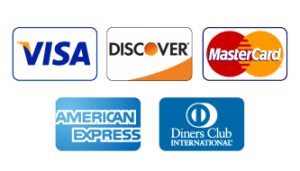 Visa, MasterCard, AmEx, Diners International, JCB or Discover. Credit Card transactions are processed through the Stripe Secure Payment Gateway. Your card details are not disclosed to us and are not stored in our database. Please note that delays may occur on large orders while the card is checked for authenticity. You are required to pay all charges incurred by you or on your behalf through the Website, at the price(s) in effect when these charges are incurred, including, without limitation, all shipping and handling charges and any applicable network charges in respect of mobile downloads. All sales through the Website are final, and all charges from those sales are non refundable, except as otherwise expressly stated in these Terms. We will endeavour to process Transactions within 24 hours from receipt or acceptance of payment (subject to any requests we make for further information required to authorize a payment). Once your Offer to Purchase is accepted by us, our offer to sell will be notified to you via email confirming the dispatch of your order.  This email provides you with the tracking number linked to your order (this tracking information is subject to change at any time and/or may incur typographical errors on occasion). We reserve the right to change delivery options without notice. Technical and/or other problems may postpone, delay or prevent delivery of a particular Product. You should receive any Product(s) that you order within 10 working days of placing your order. If we anticipate a delay in delivering a Product to you, we will seek to notify you where possible by email of the delay and we will give you the option to continue with your order or request a full refund. While our delivery providers make every effort to deliver parcels within our delivery timeframe, we cannot guarantee delivery times as these can change for reasons which are beyond our control. We will not be liable for late deliveries or any loss, damage or cost incurred due to late delivery. In the instance where you have not received your order due to a delivery error (this includes parcels that are marked as undeliverable, missing or lost in transit articles, 3rd party delivery provider sorting issues and disputed deliveries), we will, at your request, contact the delivery provider to open an investigation on your behalf. If a resolution has not been reached 5 business days after the investigation was opened, we will re-ship your item(s) to you free of charge (where the stock is still available), or refund your order. Except in relation to Submitted Material (defined below), all intellectual property rights, in the Website, the Services and all components of it are controlled, owned or licensed by Us, and is protected by copyright, patent, trademark, design and/or other laws. Except to the extent permitted under US statutes, no material or content from this Website or part thereof may be copied, reproduced, mirrored, linked, publicly displayed, encoded, translated, republished, uploaded, posted, transmitted, or distributed in any way, without our prior written permission. Permission requests can be provided using the ‘Contact‘ section of this Website. The Website contains facilities for exchange of information with other users of the Website (“Forums”). In using, and contributing material to Forums, you must comply with these Terms and all policies, guidelines and directions published by EstheticWorldBeauty from time to time. EstheticWorldBeauty is not responsible for the accuracy, completeness or suitability of any information provided by users of the Website, you need to take care before relying on or making decisions based on that information. The information is not produced, approved or promoted by us. You agree to exercise appropriate judgment in obtaining or using information from the Website, including ascertaining the currency of information. EstheticWorldBeauty does not and cannot review all communications and materials posted to or created by users accessing the Forums and it excludes all liability in respect of the content of these communications and materials. If you have a complaint regarding any material displayed in a Forum or otherwise communicated through the Website, Metalicus’ sole obligation will be to review any written complaint notified to it and if it sees fit, in its sole discretion, modify or remove the particular material. By uploading material to any Forum or otherwise submitting any material through the Website (“Submitted Material”), you automatically grant (or warrant that the owner of such materials expressly grants) EstheticWorldBeauty a world-wide, perpetual, royalty-free, irrevocable, transferable and sub-licensable licence to use, reproduce, adapt, modify, communicate, display, perform and distribute those Submitted Materials. Such licence shall apply with respect to any form, media, or technology now known or later developed. Without limiting the foregoing, you agree that Submitted Material may be used by Esthetic World Beauty for purposes including (without limitation) marketing, research and development of goods and services. To the extent that you have any moral rights in any Submitted Material, you hereby irrevocably and unconditionally consent, for the benefit of EstheticWorldBeauty, its successors, assignees and licensees, to performance, exhibition, reproduction, adaptation and communication of the Submitted Material or any part of it in any medium, and without attribution of you as an author of or contributor to that Submitted Material, and adaptation or alteration of the Submitted Material in any way including addition to and subtraction from the Submitted Material, whether such acts or omissions occur before or after the date on which that consent is given. offensive or otherwise unacceptable to Metalicus. attempt and/or modify, adapt, translate, sell, reverse engineer, decompile or disassemble any portion of the Website, including automated tools. EstheticWorldBeauty may at any time immediately terminate your membership or access to the Website at any time in its sole discretion and with prior notice if reasonable in the circumstances. You may at any time terminate your membership or access to the Website at your sole discretion and with prior notice if reasonable in the circumstances. This policy is governed by the laws in force in Illinois, US and you submit to the non-exclusive jurisdiction of the courts of Illinois, US and any courts which may hear appeals from those courts in respect of any proceedings in connection with the Terms or Website. Cookies may be used on our websites. A cookie is a text-only string of information that a website transfers to the cookie file of the browser on your computer’s hard disk so that the website can remember who you are. These cookies are known as your “Unique Visitor Cookie” and identify your visit only by a random number (e.g. #12489), the name of the domain from where the cookie has come and the “lifetime” of the cookie. Cookies do not collect sensitive information like financial information or passwords. We hold personal information in our own secure databases and to some extent for marketing purposes in the databases of third parties engaged by us (subject to obligations regarding privacy and confidentiality) to conduct electronic direct marketing subject to all legislative requirements. You can accept or decline our cookies by adjusting the “accept cookies” setting on your browser, however this may affect the functionality of our website on your browser. For example, you may not be able to personalise features on our website if you decline our cookies. Businesses located outside US who assist us in carrying out certain functions such as electronic direct marketing or for the purpose of Enterprise Resource Planning. To protect the rights, property, or safety of GENERAL PANTS INVESTMENTS PTY LIMITED, its personnel or customers (this includes exchanging information with other companies and organisations for the purposes of fraud protection and credit risk reduction). You have the option to opt-out of receiving marketing communications from us. If you do not wish to continue to receive electronic marketing communications from us and/or selected third parties you can opt-out by clicking on the ‘unsubscribe’ link in any email communication we send you, or alternatively you can email INFO@ESTHETICWORLDBEAUTY.COM with your request.